Northwich has been shortlisted for the ‘Rising Star Award 2018’ in this year’s Great British High Street Awards, sponsored by Visa, after the town was entered by the Northwich Business Improvement District (BID). Thirty-eight high streets across England, Scotland, Wales and Northern Ireland have been shortlisted, putting them all in the running to win a £15,000 prize. 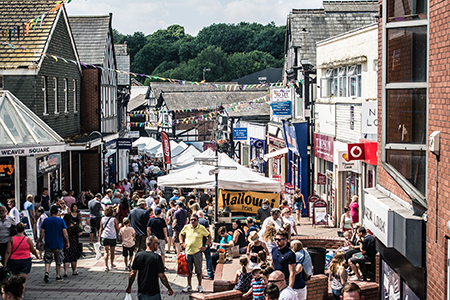 After a rigorous selection process led by a panel of independent judges, 26 high streets have been shortlisted in the Champion high street category while 12 high streets, including Northwich, have been shortlisted in the Rising Star category which aims to find the UK’s most ambitious high streets. The finalists will now battle it out in a public vote, which accounts for 30 percent of the final scoring, and will then have the chance to impress an expert judging panel as they seek to be crowned Britain’s best. The winning entries for both the Champion and Rising Star categories will be announced on Thursday 15th November 2018 at an awards ceremony in London. 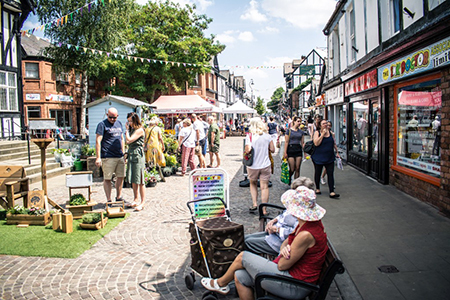 “Since receiving the yes vote in 2014, we have aspired to develop the town centre as a place that provides multiple uses across retail, leisure and entertainment and have consistently delivered a series of events, activities and initiatives to help promote Northwich and make it the go-to destination in Mid-Cheshire. “We have many exciting plans and projects for the future too including the one-day Now Northwich Festival in October and the 2018 Northwich Christmas Extravaganza which are both set to attract visitors to the town from far and wide. High Streets Minister Jake Berry MP said: “Congratulations to all 38 high streets shortlisted for this year’s Great British High Street Awards. The awards celebrate the great work that is being done to revive, adapt and diversify the nation’s high streets and the quality of entries this year has been outstanding.